A super cute St. Patrick’s Day Gift Idea & Printable, perfect for your kids, teachers, friends, neighbors, coworkers, and more! 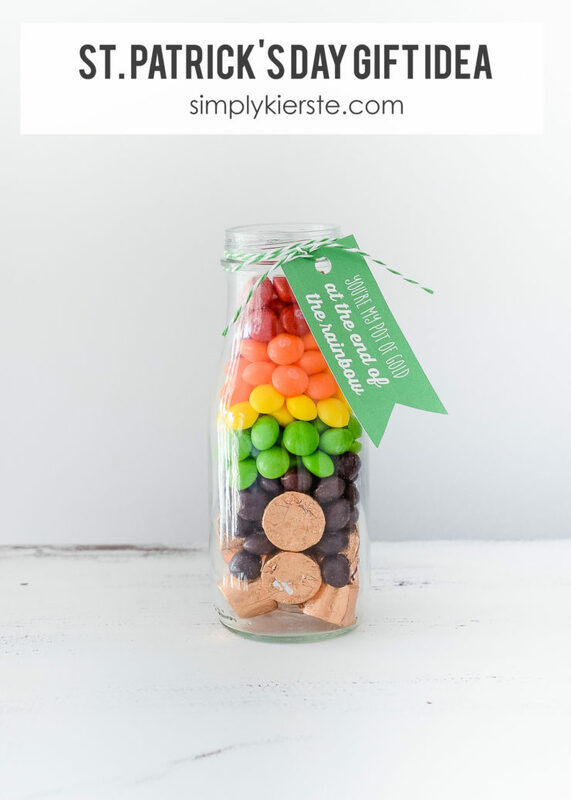 St. Patrick’s Day is right around the corner, and I created this darling printable that’s perfect for tying around a milk bottle or mason jar full of rainbows (Skittles) and pots of gold (Rolo candies). I love simple and easy gift ideas, and this one is both. Aren’t all the colors so fun? And since there’s chocolate involved, it’s really a perfect combination! Here’s what you need to make one! Start with the Rolos on the bottom, and give yourself a pretty good base—it will make it easier to stack the Skittles (or M&M’s). 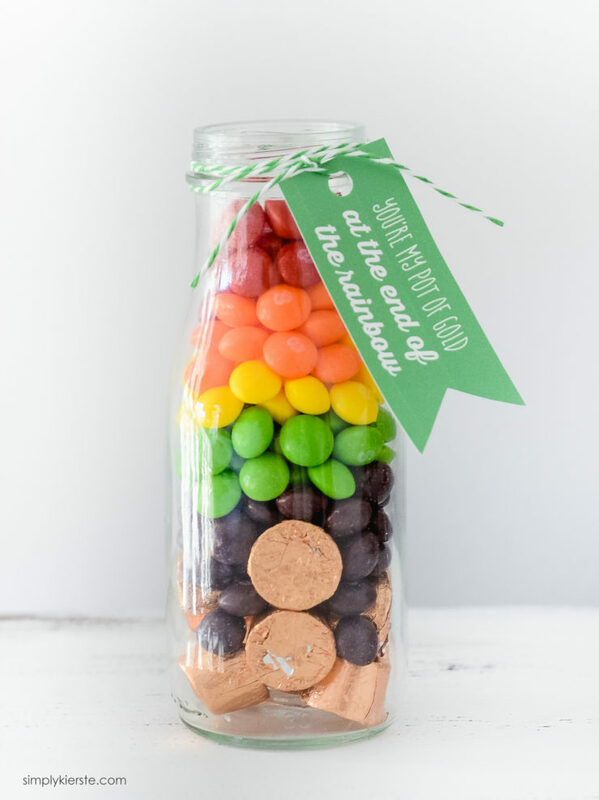 Add the Skittles in layers, in backwards rainbow order: purple, green, yellow, orange, and red. Print the tag, punch a hole in one end, and tie it on with baker’s twine. 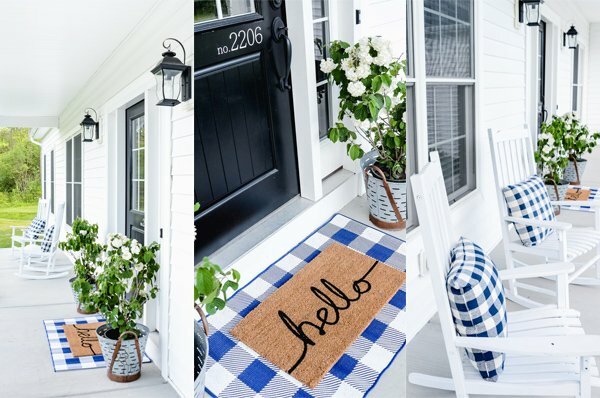 You can also use ribbon or jute! As a confirmed chocoholic, I’d also like the M&M’s–they have blue ones too! IF I knew I was gonna make them, I think I would buy chocolate coins before/after Christmas. I envy your children’s teachers getting all these surprises. I still remember my kids clinking up the bus steps with a year’s worth of coffee and mayo jars full of the annual chex mix for the bus driver, teachers, even their bus driver at Christmas! Well, I bot 3 bags of Easter egg M& Ms ($1 coupon off 2, third was free!) and 2 bags of chocolate coins. The eggs looked pastelly on the bag but they were actually bright turquoise, a mauvey-lavendar, dead blue, and bright yellow. They don’t look anywhere as nice as the Skittles but they are CHOCOLATE. Got 2 handled Mason jars with lids @ ACMoore for $1 (clearance), and used a recycled jar for my 2 kids and boyfriend’s daughter. Will download the tag now! Me children’s names are O’Malley so we always celebrated a bit of St. Patrick’s Day!